Posted 2/21/2013 9:31am by Elaine L. Lemmon. Finally, I have found a way to avoid learning html! Now we can keep you better informed of all our farm antics and labors of love. 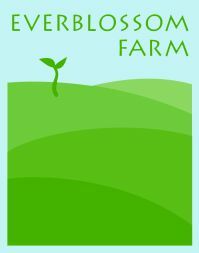 We hope you'll share our website with your friends and family and spread the word about our farm. We're most concerned with growing awesome food and connecting personally with our community members, but have come to terms with the fact that you also need us to be digitally "with it." So, here it is! Hooray for Small Farm Central and their help in my smooth tranistion to the modern world. Posted 2/21/2013 8:12am by Elaine L. Lemmon.